This is an adorable card and I totally agree with you about school and Labor Day! Your watercoloring skills are outstanding. I absolutely love this card!! Beautiful watercoloring. Woo hooo! 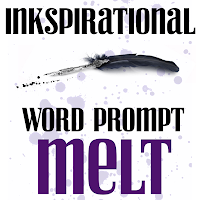 I am totally stoked that you brought your yummy, luscious multi-layered, water-coloured ice cream cone to the Inkspirational gallery! I'm smitten with this...so pretty and so delicious! I agree: school should not start before Labor Day. I'm a part time teacher and part-time admin assistant, starting the 'admin assistant' part on the 24th, the teachers only part on the 27th and the kids' arriving part on the 31st...and then we have Friday-Monday off...definitely a 'curious' schedule! Anyway, love your card and THANK YOU for sharing in the Ink 'melt' challenge! 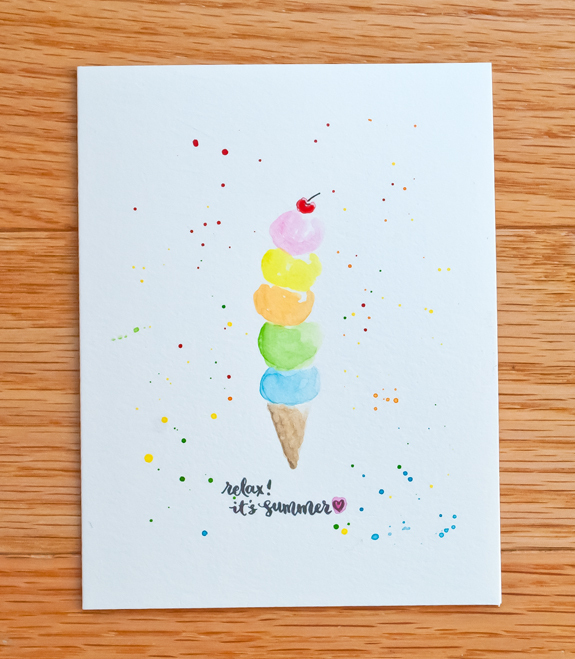 Joan, Love this watercolor CAS ice cream cone card! The splatters of ink are so perfect, as are the colors! Thanks for letting me know that my card was featured on WMS Facebook! So fun to see, and I wouldn't have known otherwise. Enjoyed perusing your lovely cards! What a cool, colorful summer design! Love the splatters! So fun!! 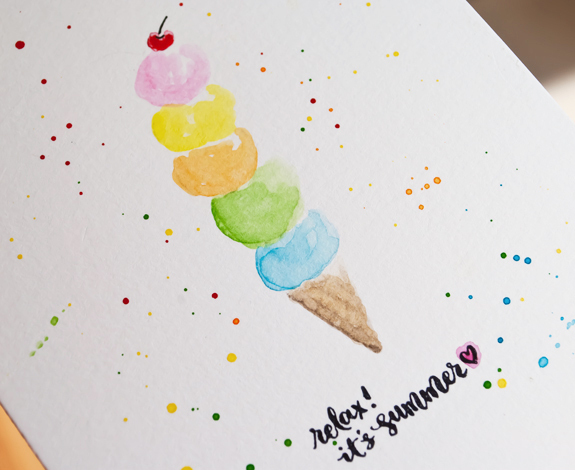 I love the water color look of the ice cream and the splatters are the perfect finishing touch! 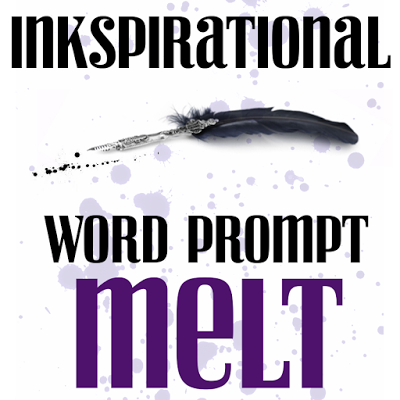 Perfect for our "melt" challenge. Thanks for playing with us at Inkspirational! Delicious card and I love the coloured sprinkles scattered all around. Beautiful card! In Michigan the state legislature passed a law prohibiting schools from starting before Labor Day. Tourism rules here and the up north population does not want to give up that last hurrah. Thanks. Virginia has a similar rule because of Busch Gardens and Kings Dominion amusement parks. However, several counties have exemptions due to snowy roads in the winter! Clean and simple can be so awesome! I love your ice cream card, how fun and adorable!!! Stunning and super cool, Joan!